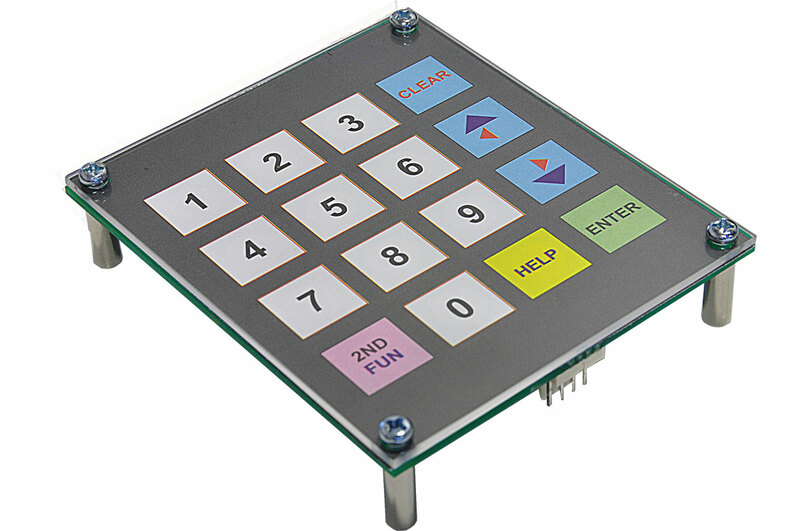 This is a very nice 4x4 key pad touch screen sensor using capacitive technology. 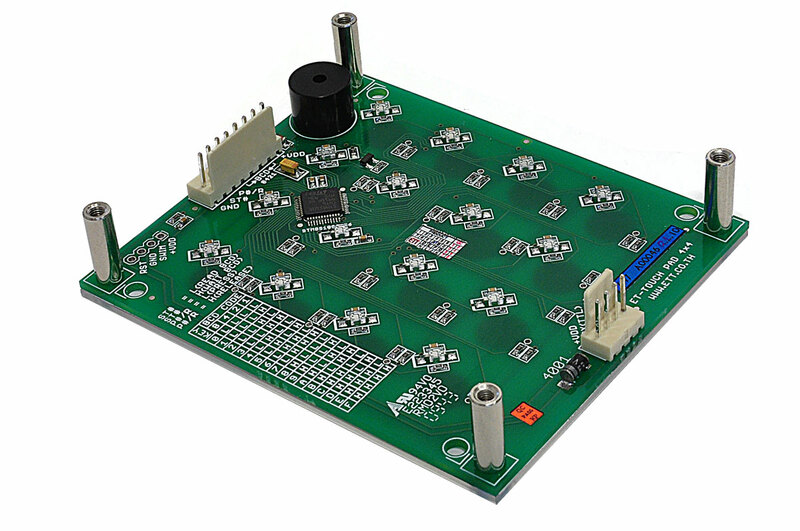 It is so sensitive that you don't need to touch directly on the PCB like many other competitive modules. 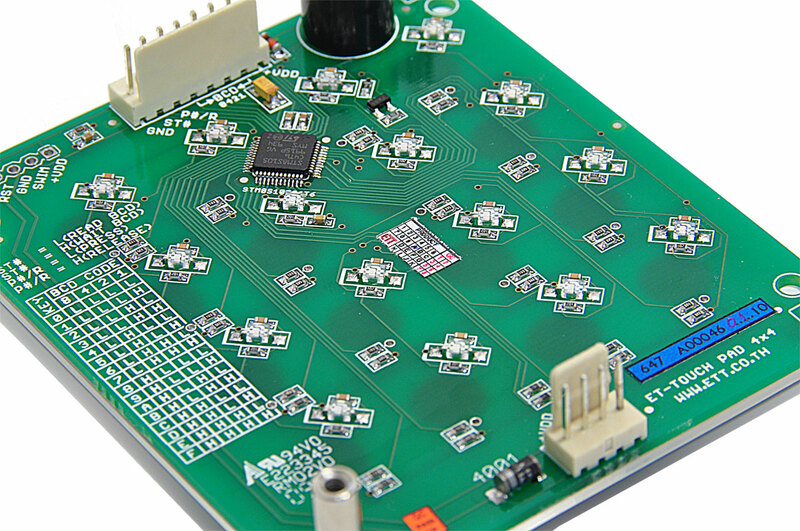 It includes the 2mm clear plastic face plate so that the keypress label can be inserted. 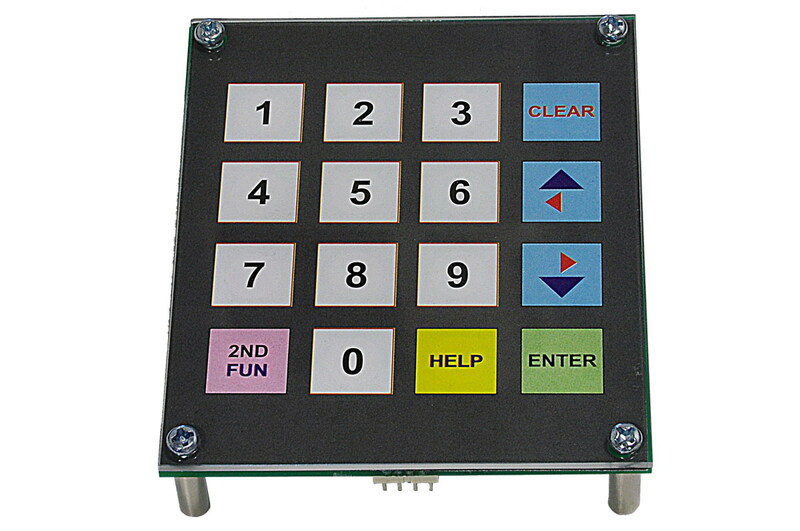 The individual LED status indicator and buzzer beep for each keypress help enhance this 4x4 key pad. 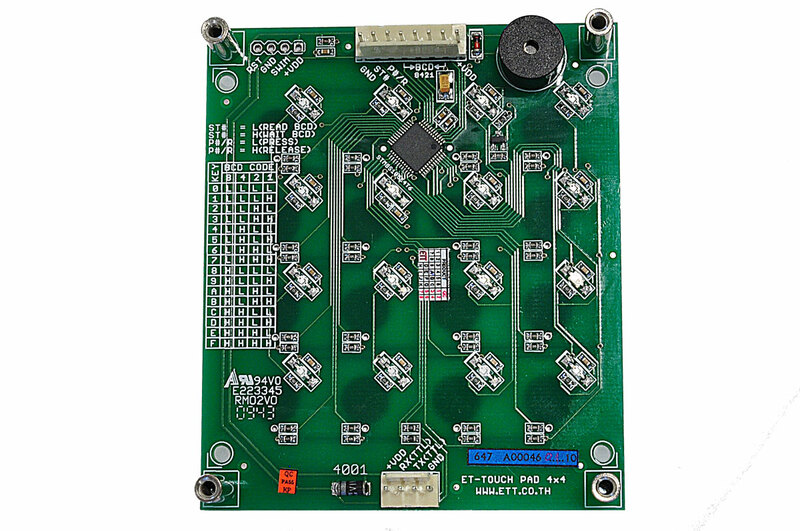 The user can interface using parallel BCD or serial UART format. 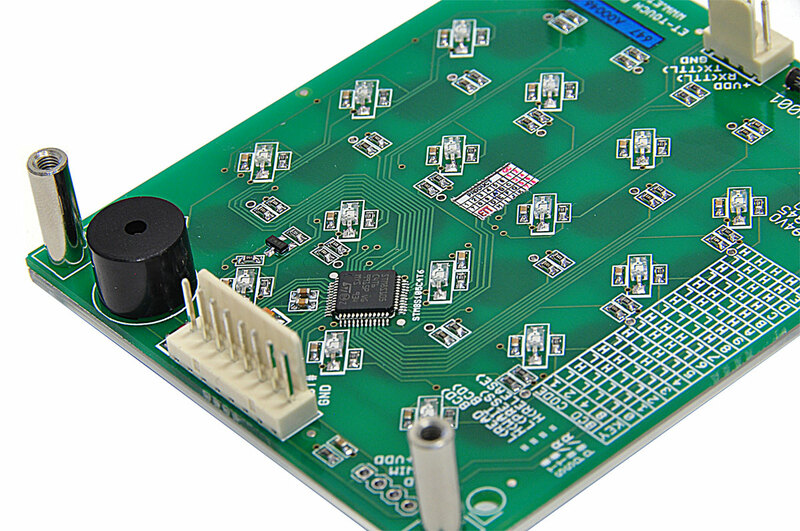 4x4 Touch Pad (Capacitive Technology) from Gravitech on Vimeo.